Before I launch into this post, let me reiterate what dozens of beauty editors have been telling you: SPF is required year-round! You should definitely be more diligent about it during the summer months, but you shouldn't expect 2-3 months of due diligence to undo UV damage you've accumulated throughout the rest of the year either. If you're serious about protecting your complexion from premature aging, wrinkles and skin cancer, you need to be smart about sun protection every day. 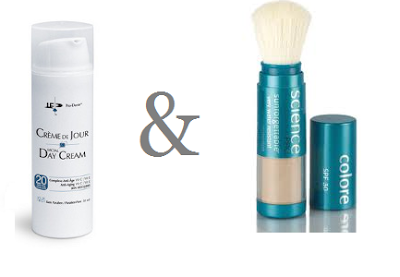 Remembering to wear SPF daily is much easier when it comes in excellent products. I prefer SPF moisturizers, lotions and lip balms because they do double-duty and don't require me to use separate products for moisturizing and sun protection benefits. I also have a penchant for lightweight, non-greasy formulas that feel as if you're not wearing sunscreen at all. Here's a round-up of the best products that fit both of those criteria at a variety of price points. Dermalogica solar defense booster SPF 30 ($60.50) is a godsend for those of us who are addicted to SPF-free moisturizers, creams and lotions and can't imagine living without them. This non-greasy formula has a light citrus scent and can be used alone or mixed with your favourite products for some much-needed sun protection. Think of it as your jack-of-all-trades sunscreen. I like using mine with Consonant Body Ultra Moisturizing Organic Face Cream ($54). Both products are available at BeautyMark. Anti-oxidants such as vitamins C and E can boost a sunscreen's effectiveness against UVA and UVB rays. Pro-Derm Facial Day Cream SPF 20 ($60.50) is a rich unscented formula that contains both of these vitamins as well as vitamins A and B5, aloe vera and shea butter. Another plus: It's formulated without harsh or harmful ingredients such as mineral oil, petroleum jelly, parabens or perfumes. Don't forget, the delicate skin on your lips needs sun protection too. Choose a nourishing lip balm with SPF 15 and re-apply before you head outside. I've raved about Fresh Sugar Plum Tinted Lip Treatment SPF 15 ($26 at BeautyMark) before, and I still love its rich moisturizing formula and sheer pinkish-plum tint. For a budget-friendly alternative, try Deserving Thyme Lip Care Balm with SPF 15 ($5.25 at BeautyMark). Although it's untinted and doesn't feel as rich as the Fresh balm, the Deserving Thyme balm goes on in a smooth thin layer, making it an excellent choice for layering under or over bright lipsticks. For more budget-friendly sun protection, I'm also a big fan of Clinique City Block Sheer Oil-Free Daily Face Protector SPF 25 ($21.50 at Sephora and department store Clinique counters) and Vaseline Aloe Fresh Hydrating + SPF lotion (approx. $12 at local drugstores). The Clinique face protector is tinted, mineral-based and designed to minimize the oil on your face, while the Vaseline lotion is lightweight and quick-absorbing. 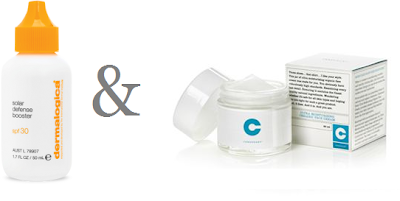 Both are non-greasy and feel as if you have nothing on your skin, which is always a big selling point in my books. 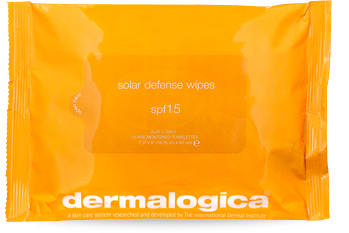 Whether you're heading to the beach or into cottage country, kiss that exploding bottle of sunscreen goodbye and pack some Dermalogica Solar Defense Wipes SPF 15 ($29 at BeautyMark) instead. Each wipe is enough for one all-over body application, plus they're easy to carry and apply with minimal mess. Your turn! What are your favourite SPF products and sunscreens? I use La Roche Posay Anthelios XL Melt-In Creme SPF 60 for my body. It's a bit sticky (even though it's supposed to be "melt in") but it's the only sunscreen that keeps me from getting burnt-I stayed pale all through my Hawaii vacation with that! For my face I use Clarins UV PlusSPF 40 mineral sunscreen. It gives a bit of a white cast because it's mineral-based, but again-it's the only one I've found so far that keeps my face from burning (especially under makeup when you can't reapply during the day). I've also just started used La Roche Posay Hydraphase UV moisturizer that has SPF 30 in it for everyday use. It adds a bit of shine, but I always wear makeup over it anyways. I've heard really good things about Skinceuticals facial sunscreen as well-I've been wanting to try it for awhile now. I love the Dermalogica booster. It's such a brilliant SPF solution! I hate putting on sunscreen on my body because most of them are greasy! However, I'm diligent with sunscreen on my face thanks to my moisturizer; I use Eucerin Everyday Protection Face Lotion UVA/UVB SPF 30 which I really like because it's suitable for sensitive skin as well as being scentless and light. Unfortunately it's not avaiable in Canada for some reason so I stock up when I go to the States. I'm intrigued by the mineral sunscreen you mentioned, will have to look into that! For face sunscreen, I really like the Neutrogrena Ultra Sheer Fluid sunscreen. It reminds me of Japanese milky sunscreens and works as an excellent base for makeup. o wow thanks for the info!!! so helpful especially since its summer!!! I am not so good at wearing sunblock when I am not on vacation but I am starting too. I am using SPF 30 in Neutrogena sheer dry-touch or whatever it's called. I can't remember. 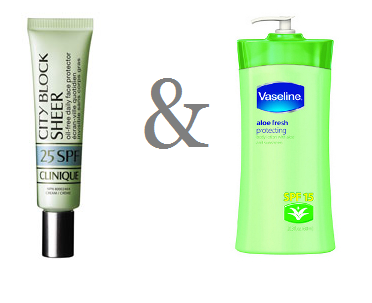 I do want to try Clinique City Block and now that you have told me that Vaseline Aloe has SPF in it, I definitely have to try it out.